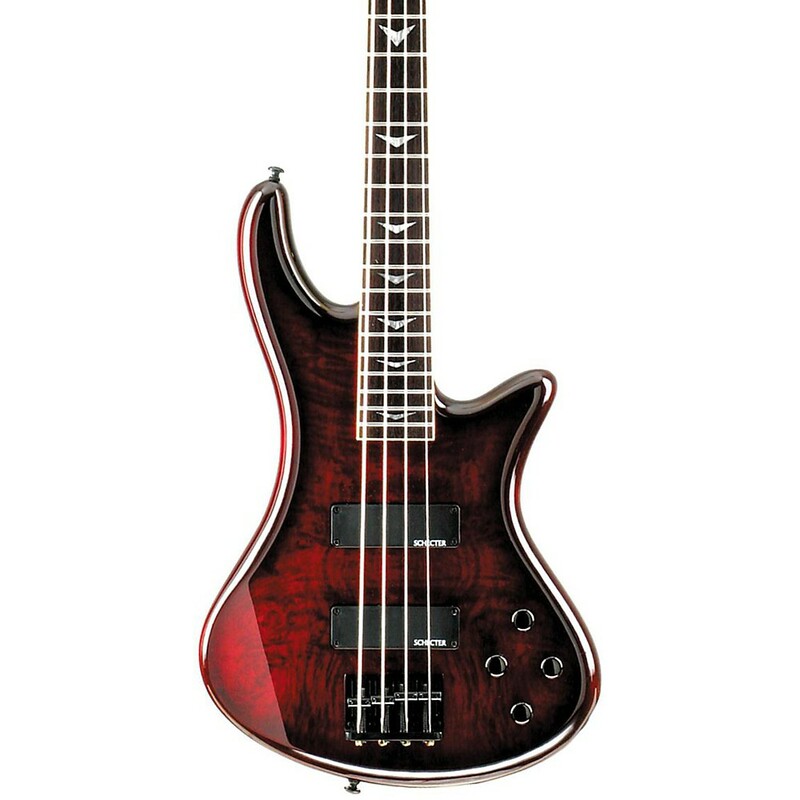 All of our bass guitars for sale are easily purchased in a safe secure web environment with your security in mind. 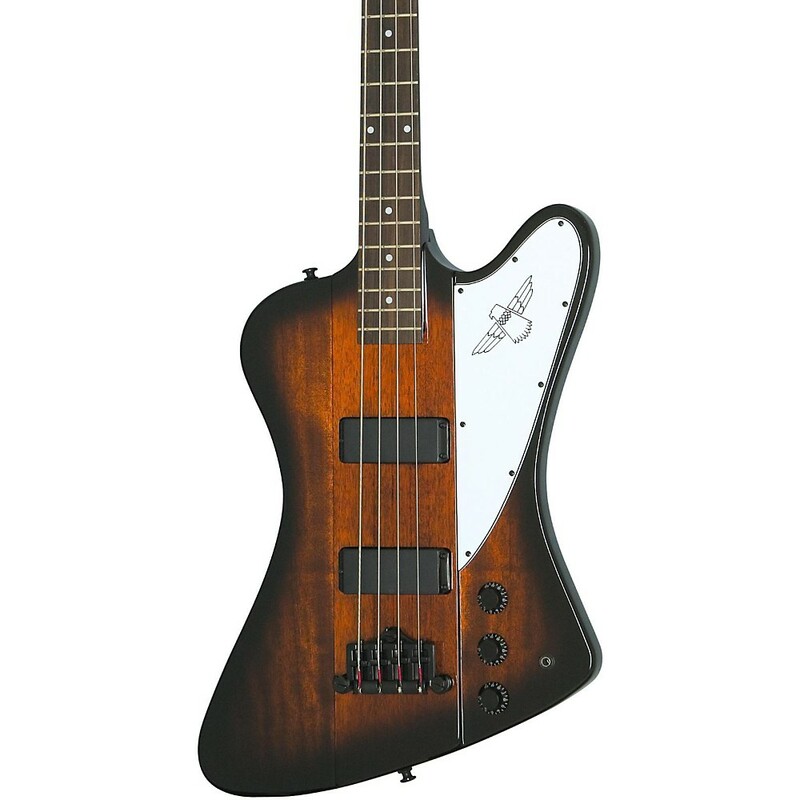 We also offer bass guitar strings, pickups, cases, amplifiers and many more accessories. 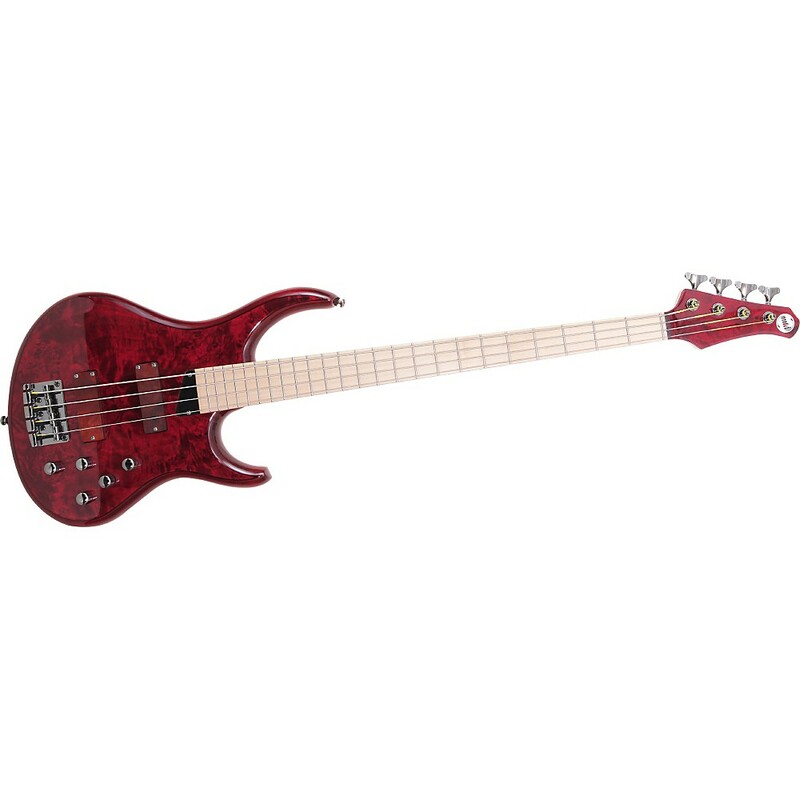 If you are looking for a bass guitar sale or beginner kits, we are happy to say you'll find these items on these pages as well. We're proud to offer these instruments at what we consider the best Prices for acoustic and electric models on the net. Be sure and browse the resources on this page to find your favorite brand and model. If you can't find the musical instrument of your choice on these pages, simply contact us and state your preference. We'll track down your information and get back to you with our findings. Schecter, Squier, Yamaha, Dean, Warwick and Rogue. 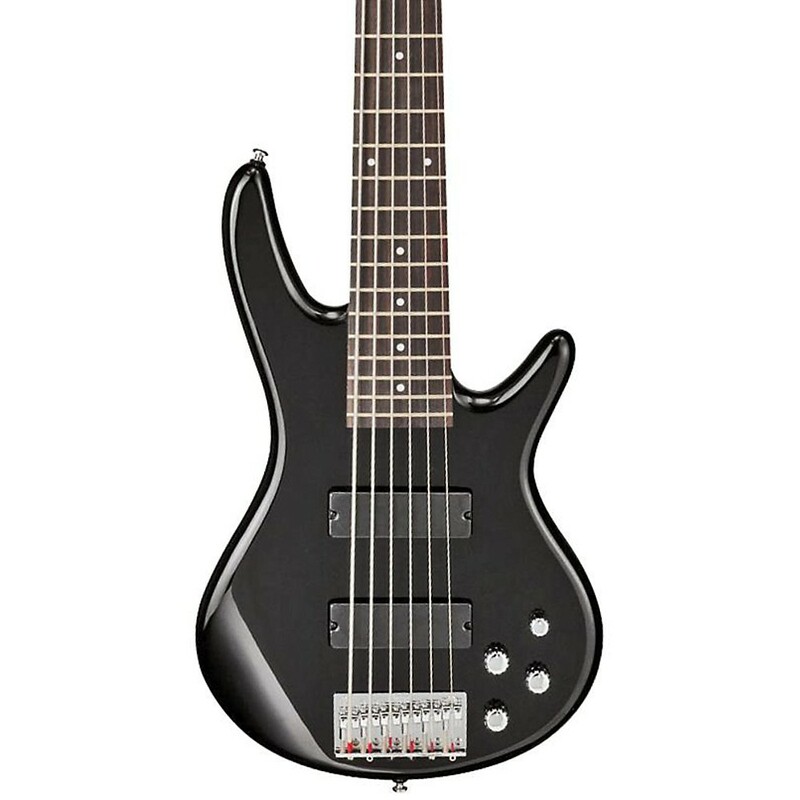 "The SB-2 electric bass guitar is a high-quality rhythm-maker with a nice, sleek design with a deep cutaway on the lower horn for grooving along the lower frets. 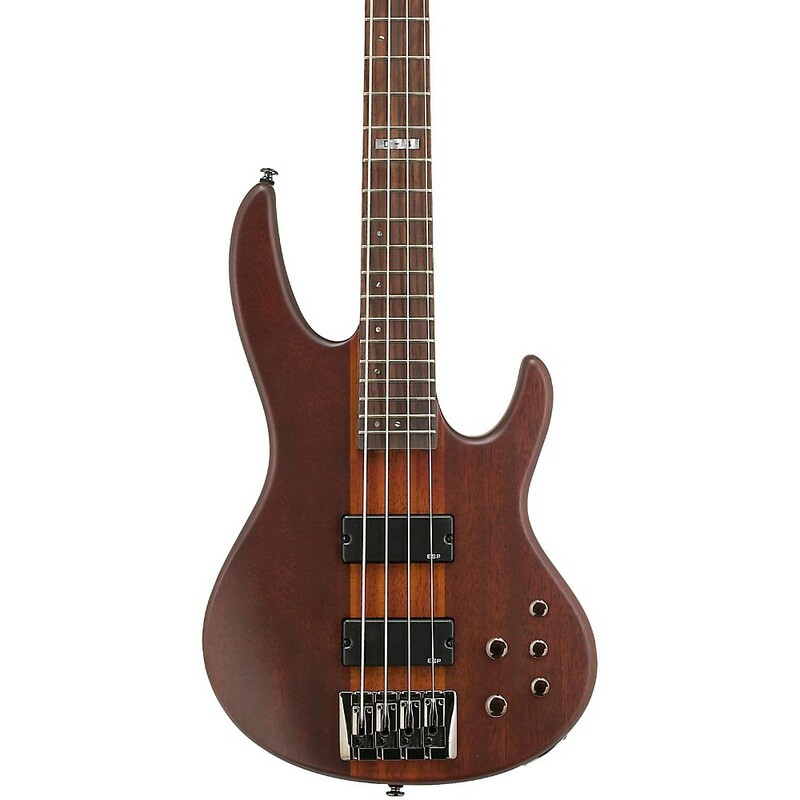 Wood-wise, it features an alder body and hard rock maple neck which creates nice even tones. 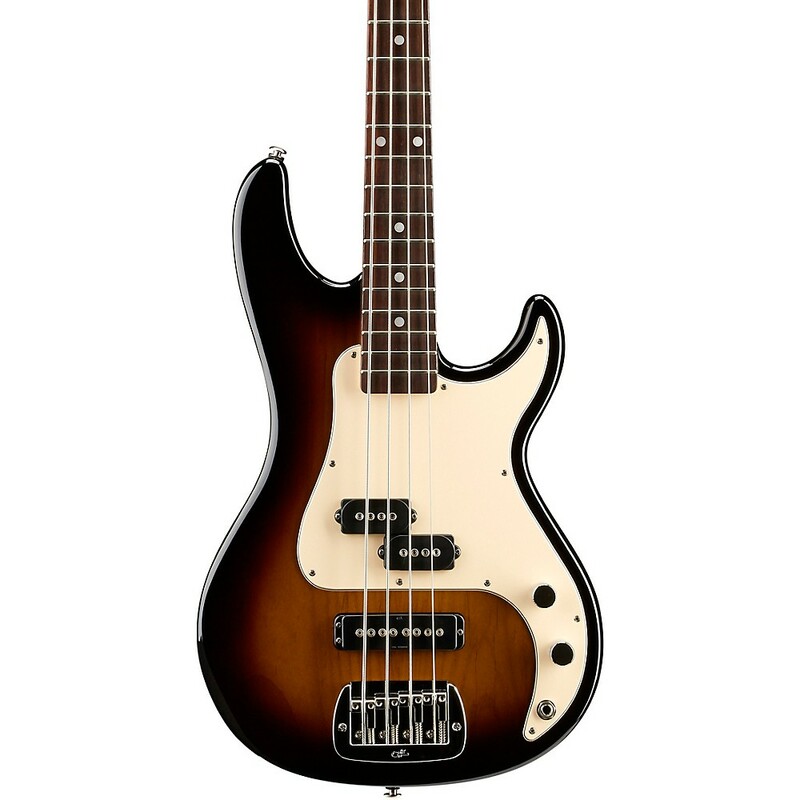 The bass guitar was invented in the 1930s as an alternative to the stand up double bass that was typically used to create sonorous resonance in jazz and blues, the precursors to rock and roll. 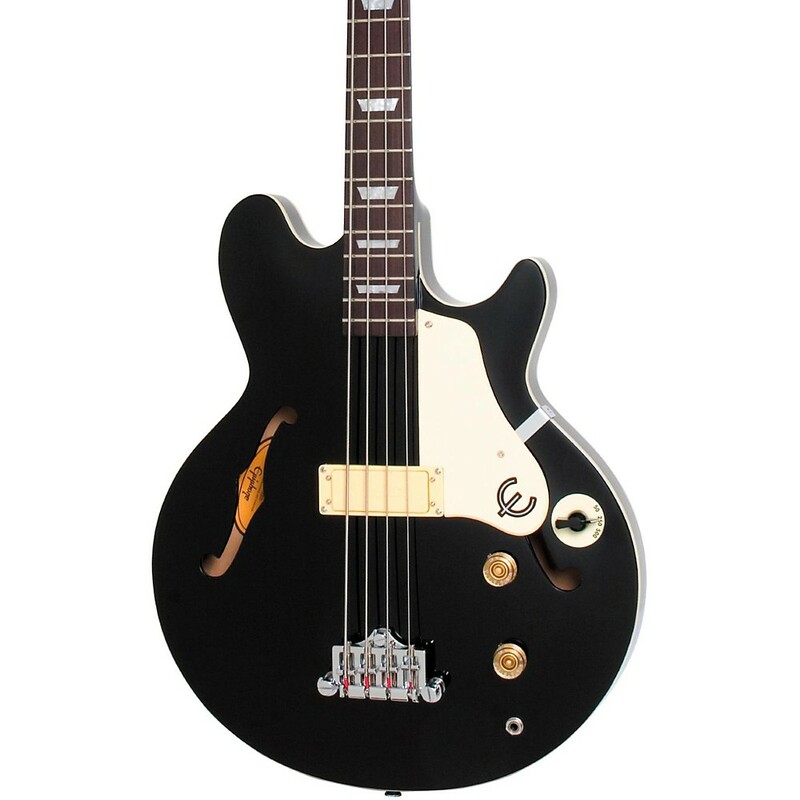 The advent of the rock and roll sound, which included loud guitar licks and strums that would overpower the traditional bass lines, meant that the electric bass became a staple for many different artists. 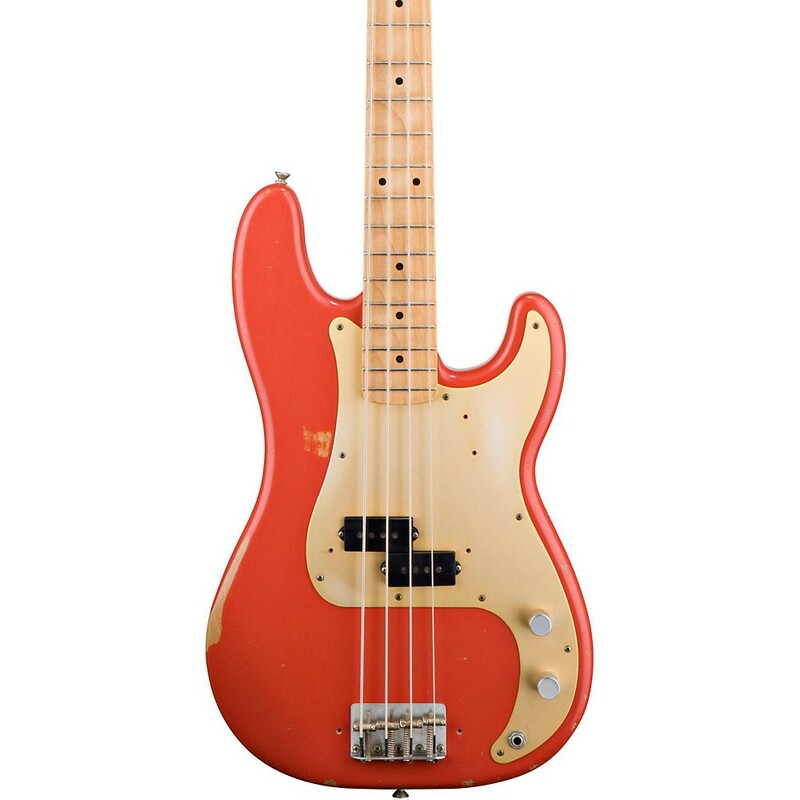 The first widely successful basses, of the solid body model that we know today and which include pickups in the composition, went on the market courtesy of Leo Fender in 1951. Most commonly, a bass guitar will have four strings, tuned E-A-D-G. 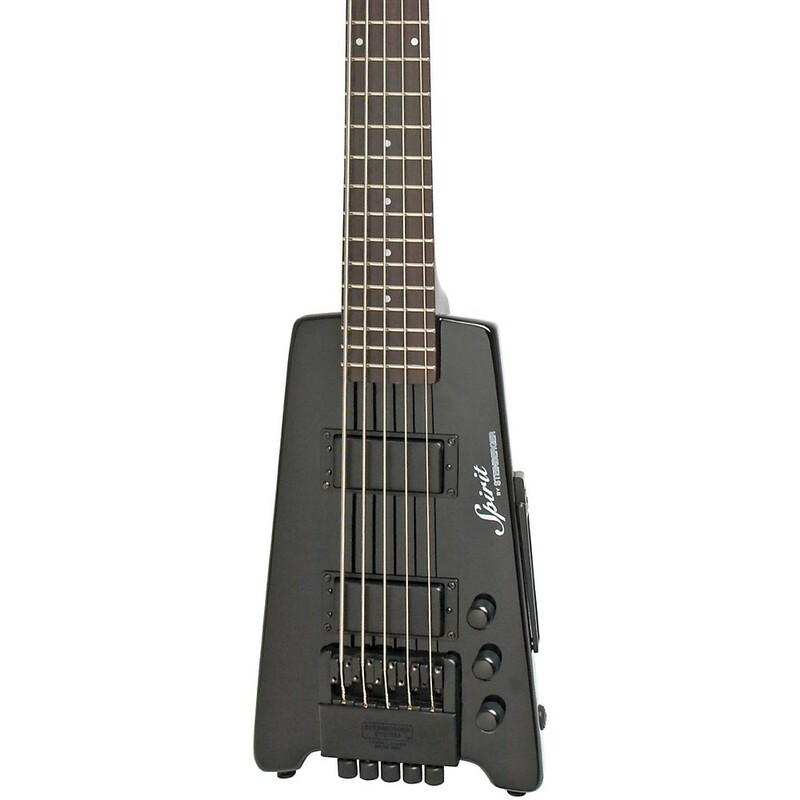 These strings are set to match the lowest four strings of the standard 6 string, but are tuned one octave lower. It was originally conceived as an electric instrument, meant to be amplified via an amplifier to give a rhythm and lower line feel to the music being performed. When performing acoustically or on quieter songs, artists would forego the bass altogether or go back to the stand up double bass model. This option was an expensive one, however, since large instruments such as the stand up bass continue to be the most costly and least portable (standard bass guitar cases are about half the size of double bass cases). In the 1970s, Ernie Ball (a guitar developer well known for designing accessories) designed an acoustic bass that would accompany acoustic performances without drowning out the finer sound of the acoustic guitar. These basses, like their electric counterparts, had a larger body than the acoustic guitars, which means that if you play one you will probably need one of the many bass guitar stands available. Bass guitar pickups for acoustic models are usually piezoelectric or magnetic. 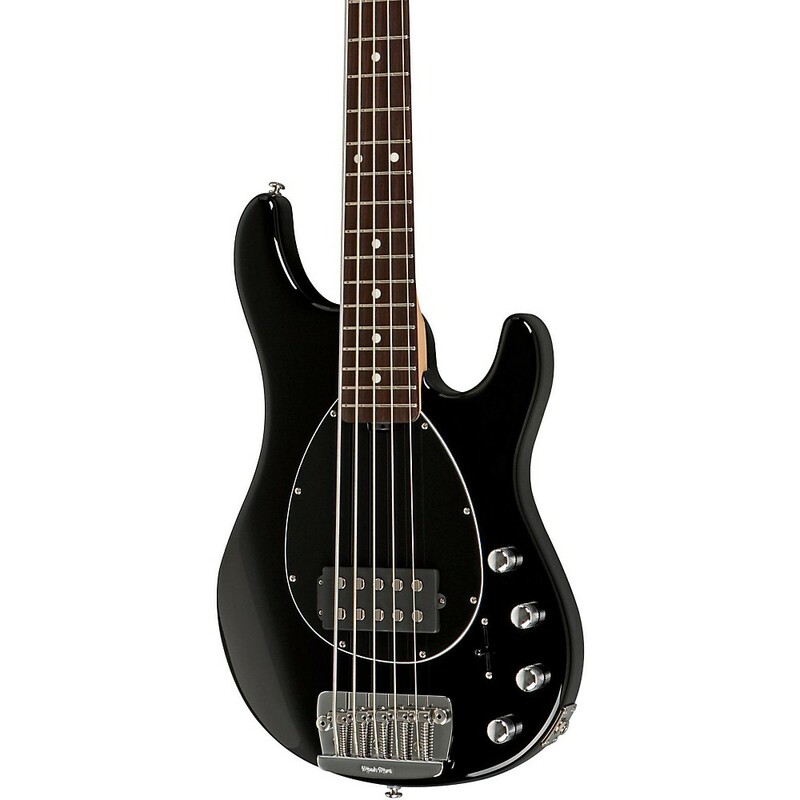 Bass guitar pickups are generally encouraged in the acoustic models as the low sounds mean that they are difficult to hear over other instruments when unamplified. Although the four string, fretted model is the most common type, these are by no means the only choices available. 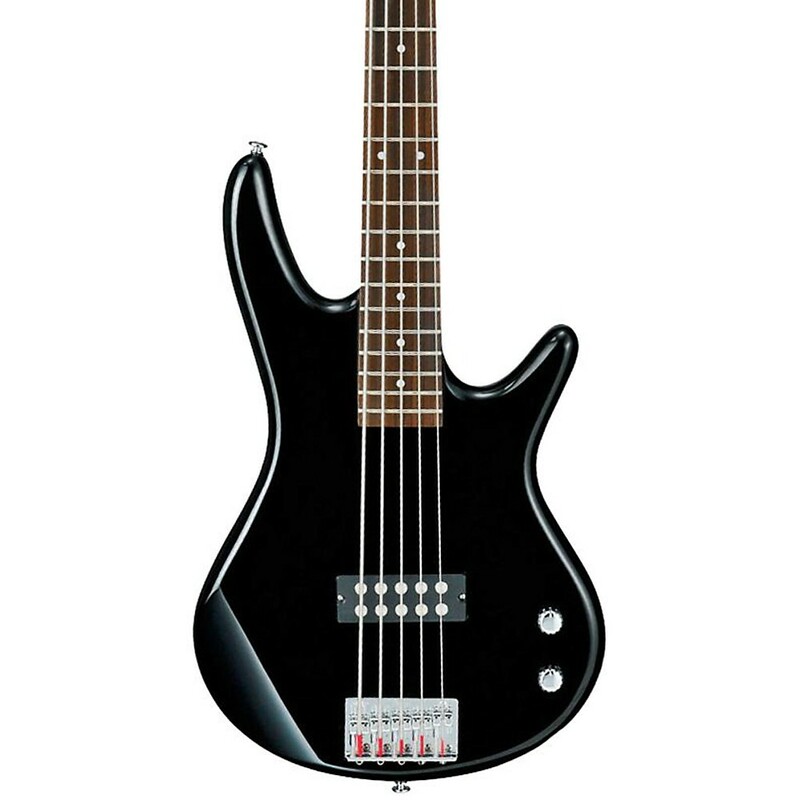 Musicians seeking to increase the range of sound in their music have the option of a 5 string bass guitar and (although rarely used) even a six string bass. 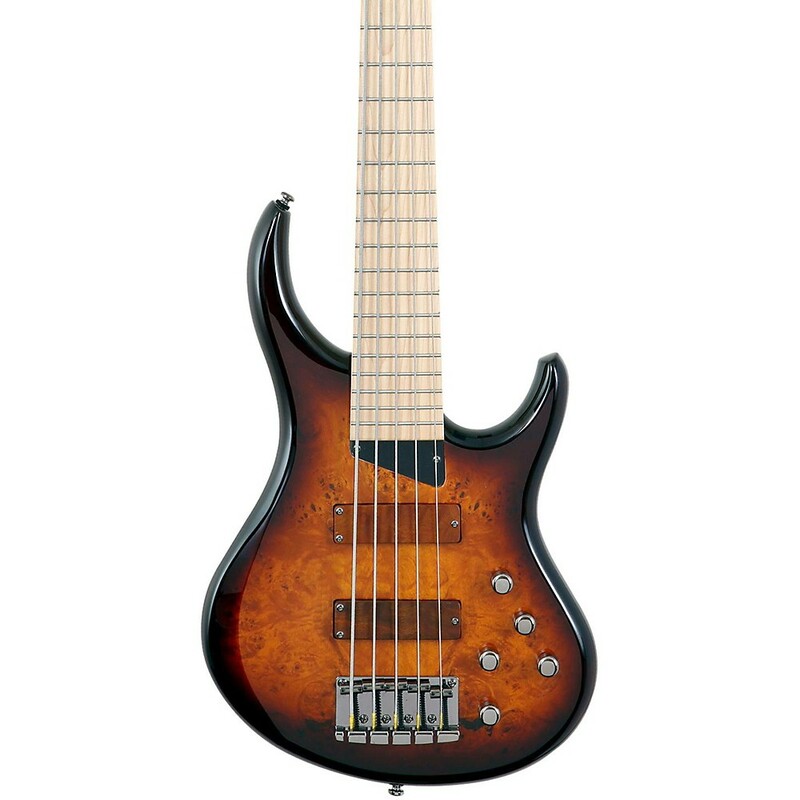 In the five string model, a low B string is added above the E, while in the six string models a high C is added below the G. Acoustic basses with the added B string are often tuned differently in order to produce a sound that can be heard more readily while played. 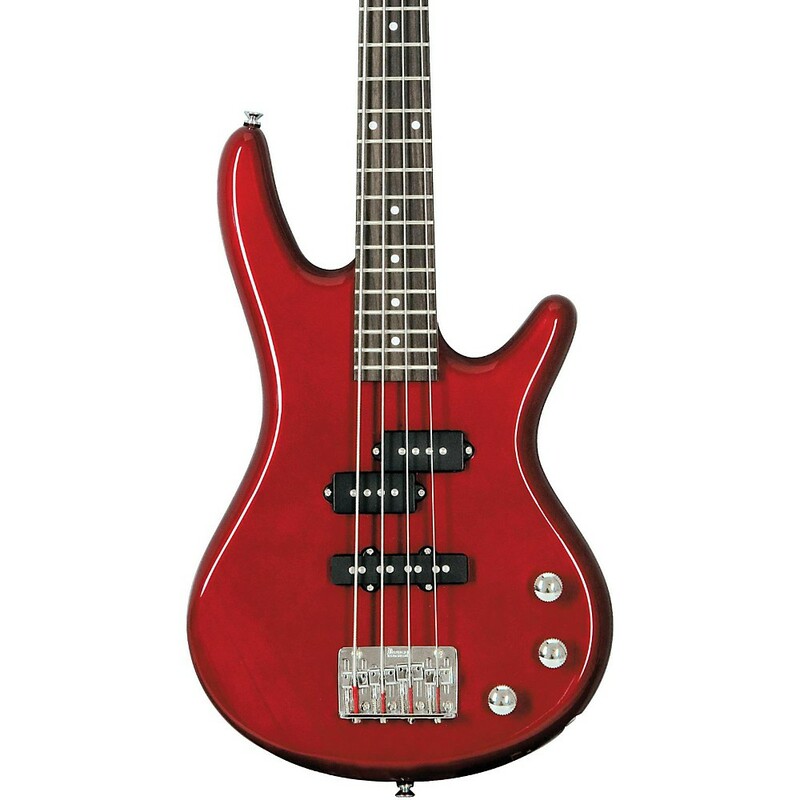 Basses can also be purchased with no frets or with semi-fretting. 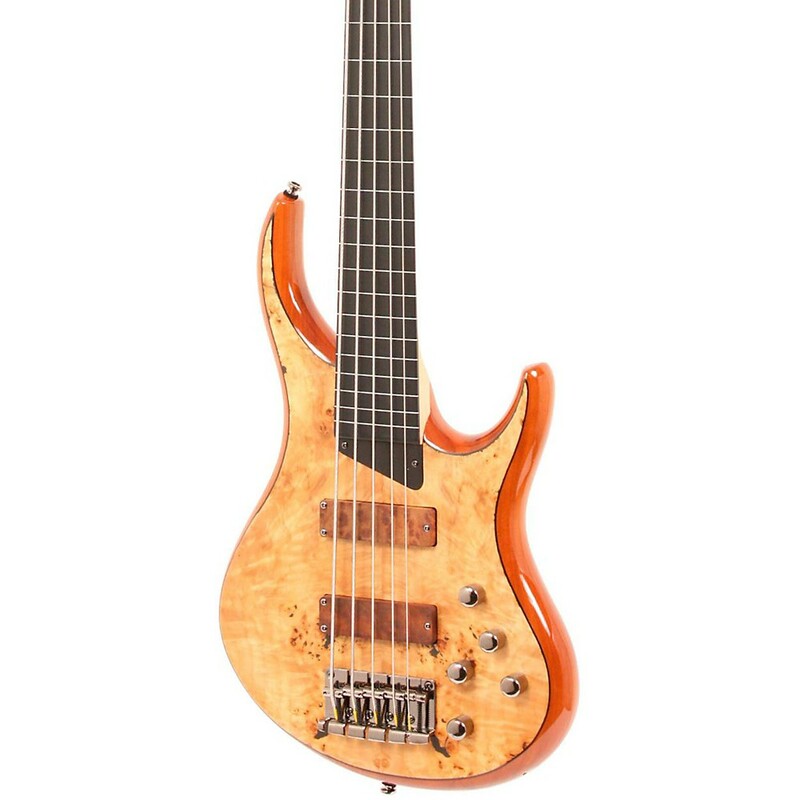 Fretless basses are more akin to their stand-up originators and allow players more options in style of play, as well as a distinct sound created when the string is pressed directly on the wood. Semi-fretting models are very rare. 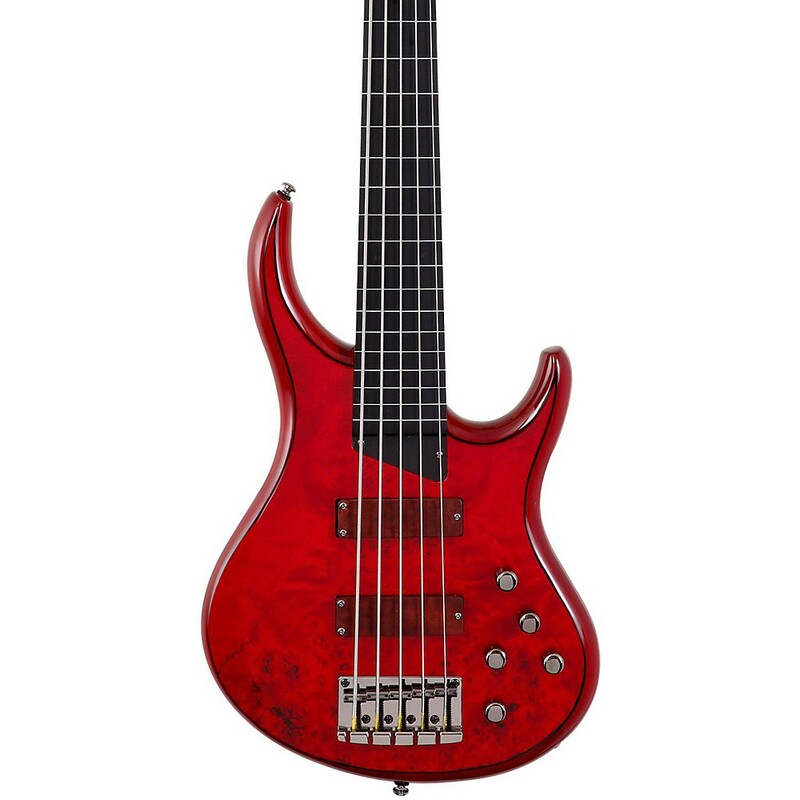 While bass guitars originally were created with 20 frets, modern basses will typically have 24 frets or more. This allows the artist to increase the range of sound created. © Copyright 1999-2018. Electric bass guitars.